KLPF is here again. 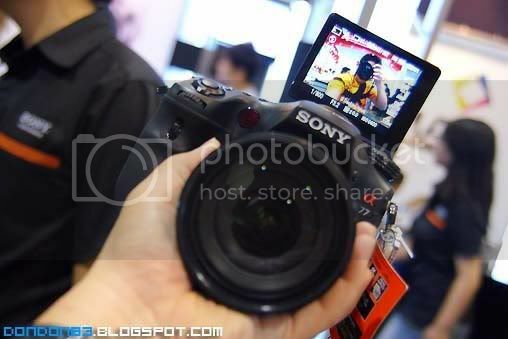 and this time.. i'm here to have a look of the sony new a77 dslt camera. 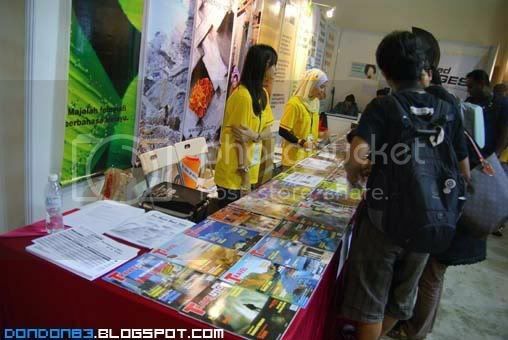 as usual, the entrance are place for photography magazine booth. woot.. that's that? wait a minutes.. that's that's that what i here for.. the a77!! 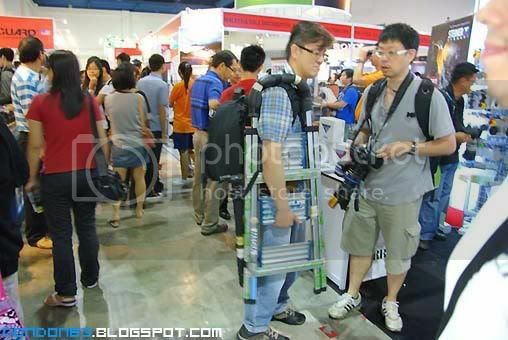 loaded with battery-grip. 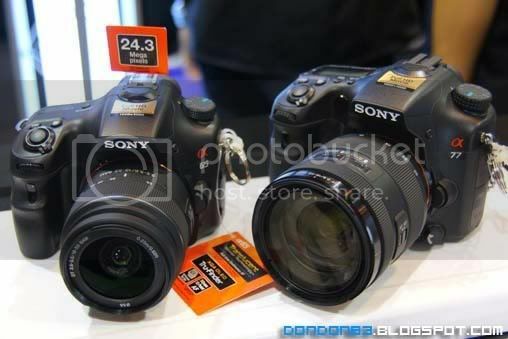 yupe.. that's the 2 camera from sony. 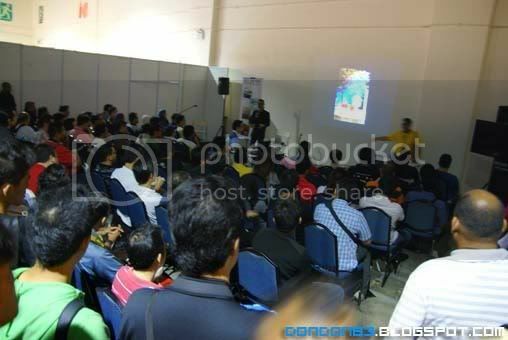 first public preview in Malaysia.. here is KLPF. 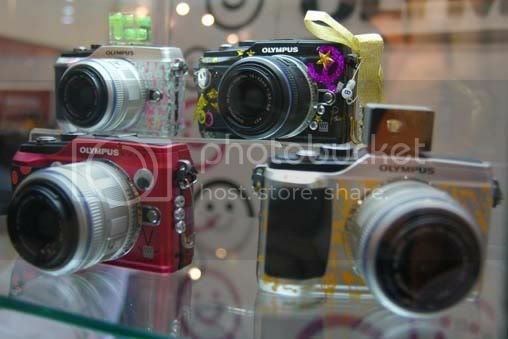 that's a65 on the left and a77 on the right.. guess which camera i might bring home? here's the a77 new triple hinge tillable LCD. nice huh? i like it! 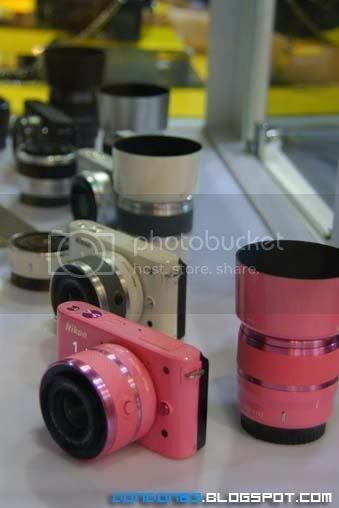 and here more photo's of alpha camera..
there is something new in Nikon booth.. this is the Nikon new 1 Series.. is nothing like canon 1 series.. Nikon 1 series is Mirror-less camera. 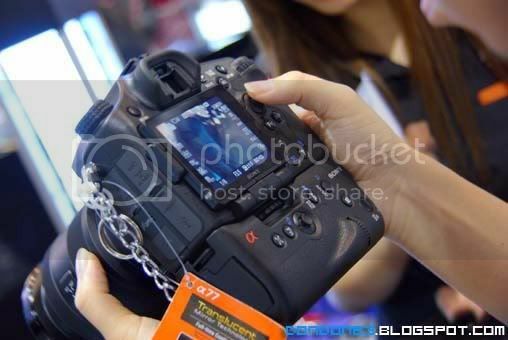 or should i say..new EVIL Camera.. Electronic Viewfinder Interchange Lens. 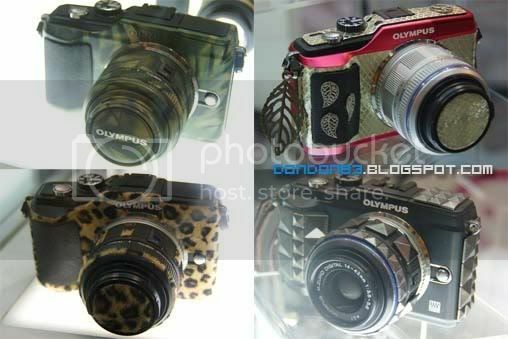 talk about fancy EVIL Camera.. Olympus is the winner i would say.. check out their customized EVIL Camera...creative and fancy enough..
and here is some blink blink.. flowered. another gol plated? and polar beer? 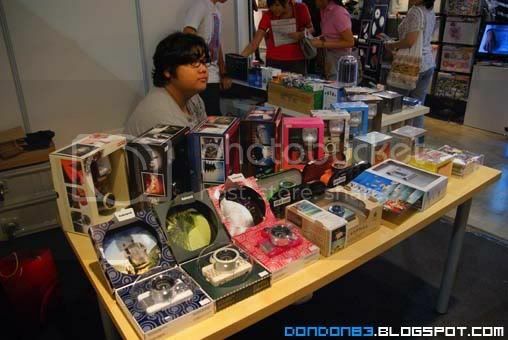 gosh.. is this still camera? and in another corner.. there is a photo sharing session.. regarding their trip to somewhere. 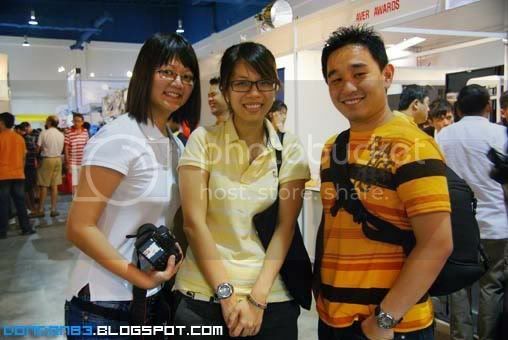 and surprise surprise... i meet Sok Kim and Penny over there. walk about.. and i saw a ladder photographer.. carrying his ladder. waiting for stage model shooting i believe. 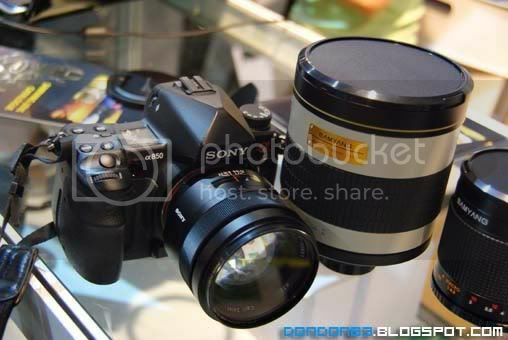 and another surprise i spotted in this fair.. is the SIGMA professional grade DSLR. 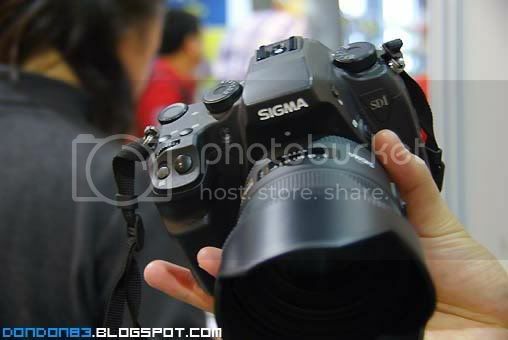 the Sigma SD1. it's the rare species i would say. 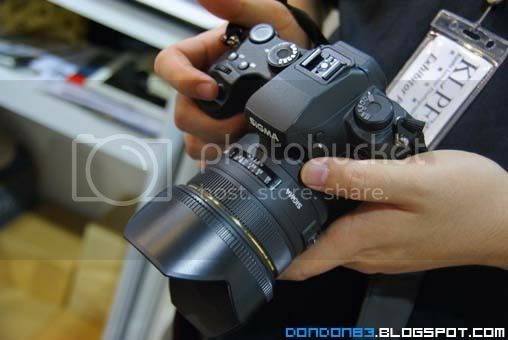 it's not a fullframe.. but it's Foveon X3 sensor that have huge 46 megapixel on it. 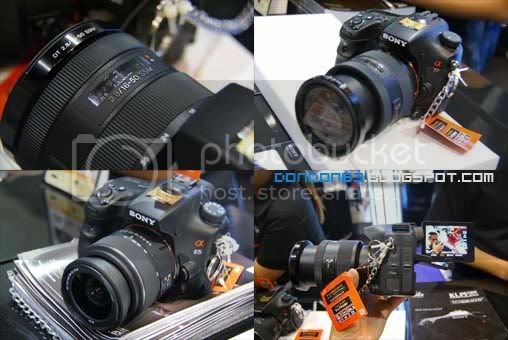 and it cost RM 21k.. for a APS-C dslr Camera.. seriously. i think is seriously overpriced. 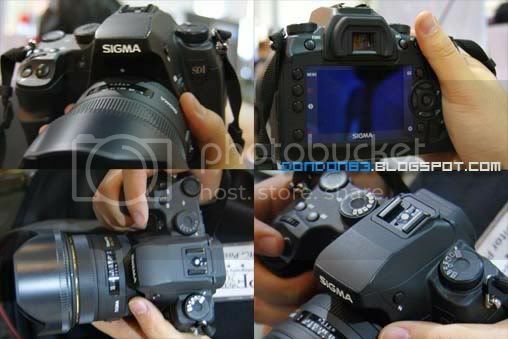 you can get Nikon or Canon Fullframe Flagship dSLR with that price..
and here is more photo of the rare species Sigma SD1. 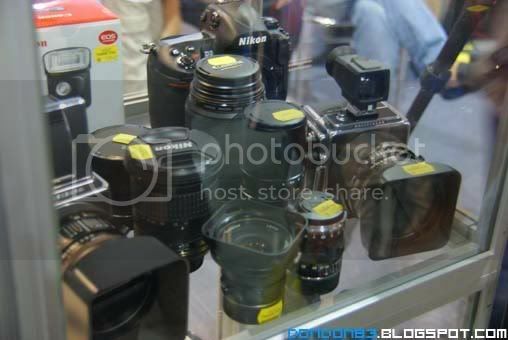 and here the used corner.. anything or any lens that you looking for? And at Lee Photo booth, i spotted something.. a transformer camera? look a like. 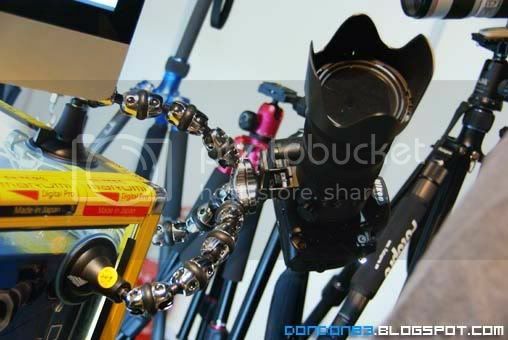 it have a flexible tripod foot that able to stick on glass. and then able o hold huge telephoto lens.. great.! and further exploration.. and i spotted the Samyang 800mm f8. 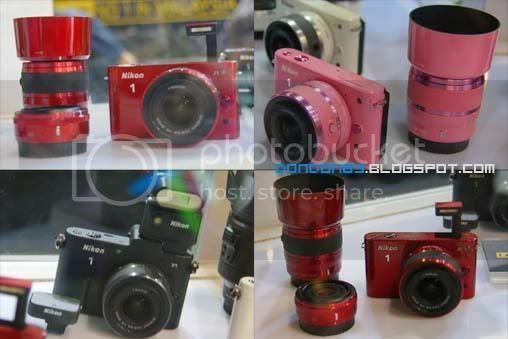 it's such a huge lens.. or should i say.. such a small compact lens.. for it's range league..
there its very popular Lomography camera sold here. if you burn film with lomo style. this is the right booth for you to stop by. 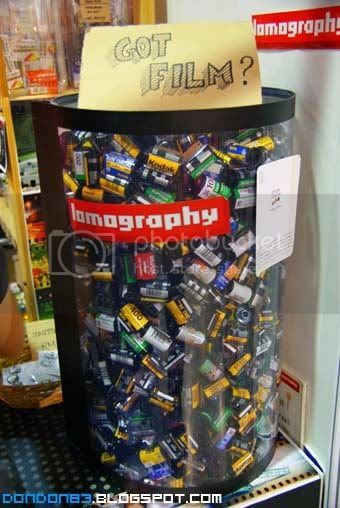 film loaded for lomo camera.. wonder how many photo's produced by this number or film. 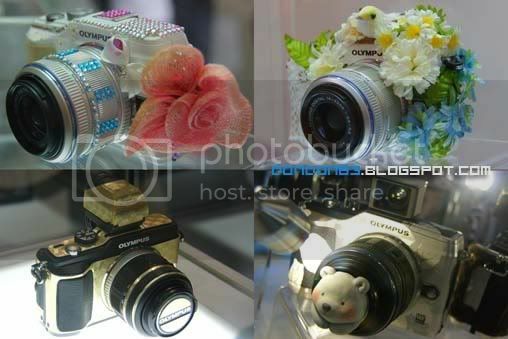 all fancy fancy lomo camera can be found here. and i like this kind of photo concept. 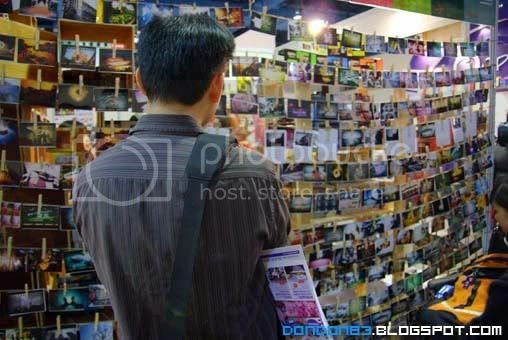 a wall of lomo photos. great idea.. i wish to do this to my wall too. 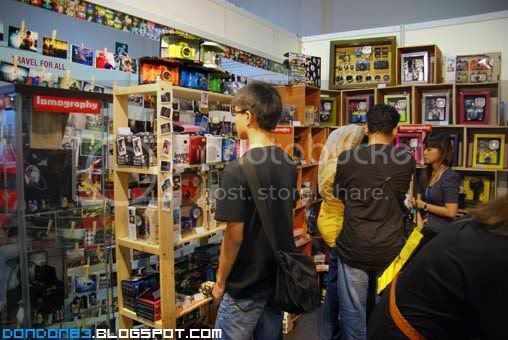 and last but not least.. model shooting always available.. but.. just too crowded.. and don't feel like shooting model during this time. 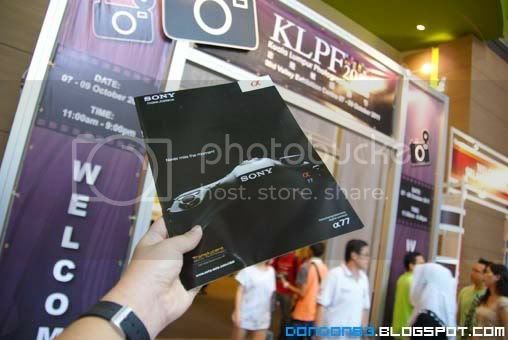 that's all for the KLPF 2011.